I am appreciating New Hampshire more and more as of late. The Live Free Or Die state is really living up to its motto. As you may have read about last week, NH is on the verge of becoming likes its neighbor Vermont and doing away with its firearm carrying licensing system to become a Constitutional Carry state. 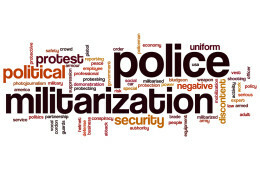 On the heels of that legislation is another bill, brought forth by State Representative J.H Hoell, that would bar the police from becoming a paramilitary force without consent of the people. Considering that the 2nd Amendment was written down in order to protect the citizenry’s right to fight back against a tyrannical government, the notion of limiting the local governments ability to outgun its citizens is a great take back of liberty. Think of it like addition by subtraction. By denying the state and local governments the ability to be quasi war lords who overpower the people, this bill will ensure that should tyranny ever take root in the Granite state, the people, the militia as our founding fathers understood it to be, would have the ability to fight back on a more equal footing. Furthermore, by granting police the firepower to invade a third world country, the lines begin to blur between liberty and tyranny. 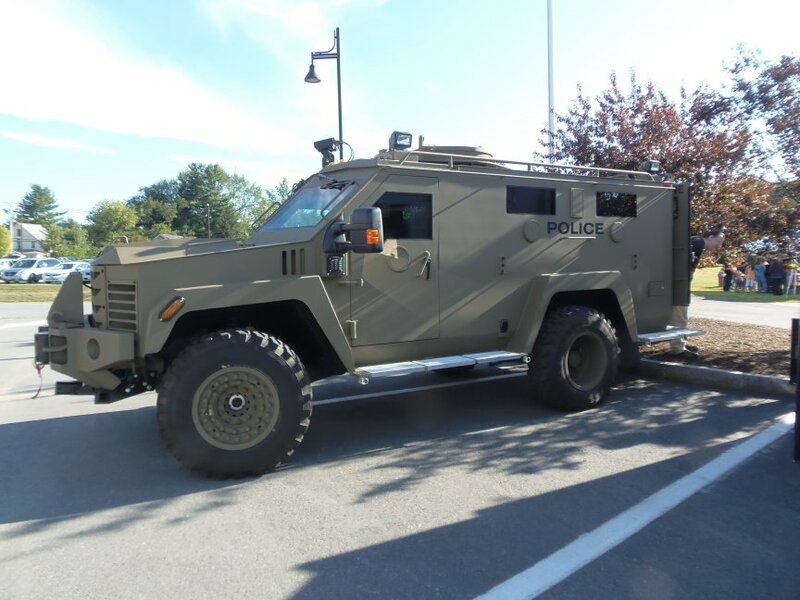 For instance, the city of Concord, all 42,000 people of it and their THREE murders in the last DECADE, acquired a bearcat after IGNORING the public outcry of the people and the obvious lack of need for one. Apparently, Chief Duval thinks that non violent, protest groups and libertarian’s trying to win public office in the name of liberty are active and daily challenges that require machine guns and vehicles that are a half step down from tanks. My sister asked me the other day why civilians would need a machine gun. I need only point to Chief Duval, his militarized shock troopers and his belief that he can strong arm anyone who doesn’t agree with him as reason enough. The 2nd Amendment is about defending yourself against the tyranny that Chief Duval views as his biggest threat. If the Free Staters eventually win control of the government through legal elections, Duval and those narrow minded, heavy handed thugs like him will find themselves on the unemployment line lickity split. As a bonus…this bill also opens up the possibility that New Hampshirites may be granted more rights to firearms previously discouraged by the government for civilian use. If J.H Hoell’s bill passes and the state and local warlords like Duval still want the heavy artillery they will only be legally allowed to get it if it is available to the general populace. If the Federal Government gets in the way of that it could lay the groundwork for NH to pass a Firearms Freedom Act which would negate all federal gun control laws with regards to firearms built and kept within New Hampshire. The end result is that Hoell’s bill that would limit the governments attempt to overpower the citizenry may in turn offer even more 2nd Amendment freedoms to the people of New Hampshire. The Granite State is hitting the ground and running towards liberty in 2015…I hope other states are taking note.